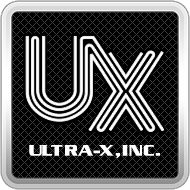 QuickCAST Server On-Premise Software / Appliance Setup Intructions – Ultra-X, Inc.
2. Locate the QuickCAST Server license USB. Connect the USB to the QuickCAST Server using the included 8 inch USB extension cable. 7. Once you are signed in, QuickCAST Server will attempt to start. Click the OK button to continue. 8. If the deployment service is stopped, it will prompt to restart the service. Click YES. 9. Once the service is started, check the bottom right and check the Server state status. It should be green with a text message that states: Online. 10. You may now proceed to network boot a machine for testing.